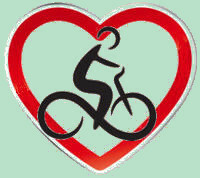 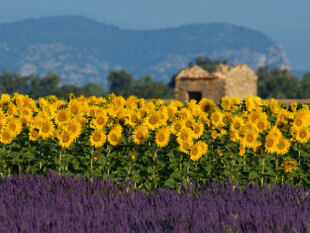 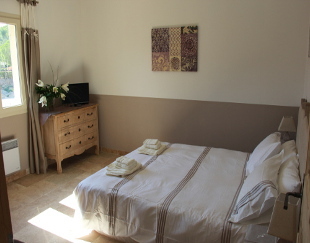 ﻿ Bedroom Taillades during your stay with Provence Cycling Holidays, self guided bike tour in the Luberon, Provence, France. 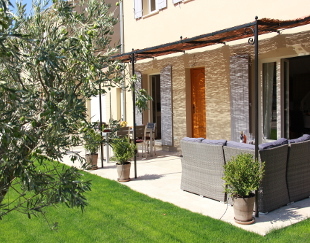 ROOM TAILLADES AT THE VILLA. 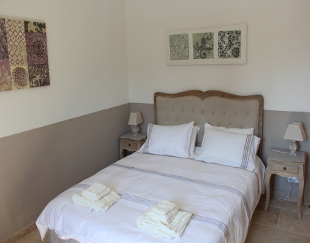 Decorated in warm chesnut and white, this spacious room (15m²) overlooks the garden, pool and onto the Luberon hills. 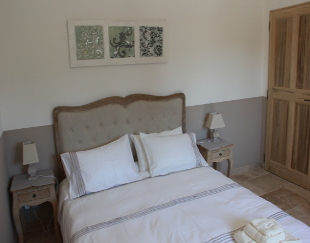 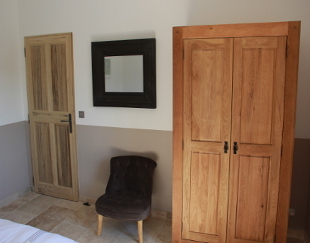 The room has travertin stone floors, and is nicely furnished with a large queen size double bed, bedside tables and lamps, a wooden chest of drawers, a wooden wardrobe and a comfortable armchair. 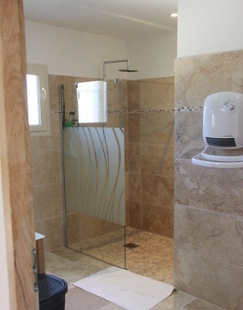 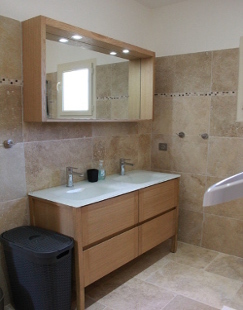 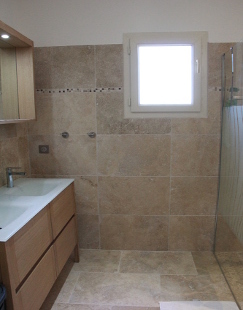 This bathroom is shared with the room Cavaillon.